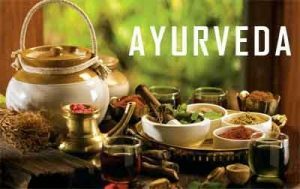 Panaji: Goa Minister for Health Vishwajit Rane on Monday said that convinced of the enduring powers of Ayurveda, International Tourist travels to India to avail ayurvedic treatments. He was speaking after inaugurating a five days free Mega Ayurvedic Neuro Therapy Medical camp organized by Matrubhumi Seva Pratishthan Goa, by Dr Manoj Sharma Ayurvedic Neuro Hospital and Research Centre, Sant Sohirobanath Ambiye Government College of Arts and Commerce, Pernem, Deen Dayal Seva Pratisthan, Bicholim, Harmal Panchkroshi Shikshan Mandal, Lokmanya Ganeshotsav vishbvasth Mandal, Pernem,Department of Horticulture, Directorate of Health and Services Goa (AYUSH Department) and Sandu Pharmaceuticals Ltd at Ravindra Bhavan Sankalim. Mr Rane said Ayurveda could treat some disease which even Allopathy could not cure. He urged the people to take full benefit of the treatment available at the camp. He also appreciated the efforts of Union Minister AYUSH Minister Shripad Naik to set up National Institute of Ayurveda and Naturopathy at Dhargal along with two Ayurvedic and Naturopathy Hospitals, one each in Sakhalim and other in Margao. Goa Legislative Assembly Speaker Dr Pramod Sawant, who was also present for the function, said the health of an individual was as much important as the wealth to live a healthy, peaceful and prosperous life. He also informed that foundation stone for AYUSH Centre at Velguem would soon be laid in next two to three months which would benefit the people from Bicholim and Sattari taluka to take Ayurvedic treatment. He further appealed to the people to attend the camp for all five days which would certainly help them to cure from the ailments they were facing.